Disneynature’s 8th film, Monkey Kingdom comes to home video on September 15, 2015. 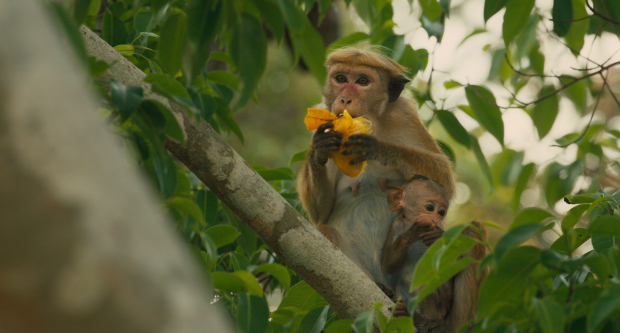 This film takes us to Sri Lanka in South Asia and into the world of the blonde-bobbed macaque monkey. We are introduced to a troop of Monkeys who reside in the ruins of an ancient city and the territory around it. 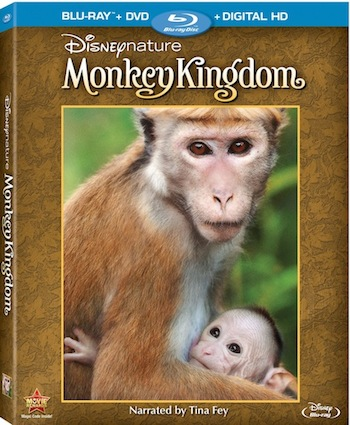 The film follows Maya a lower ranked monkey in the society through her adventure and struggle to care for her son Kip. The film showcases the class system the monkeys follow and highlights territorial struggles with each other, humans, and other species. The Monkeys interact/come in contact with a variety of characters including: mongoose, langur monkeys, predatory leopards, monitor lizards, sloth bears and humans. You get a glimpse into the daily lives of the troop and what it takes to survive, finding food, avoiding predators, and of course having fun. A fun example is the monkeys were climbing 30-40 feet up and jumping into the water. The film is narrated by Tina Fey and music by Harry Gregson-Williams. To bring this film to the big screen the team took trips spanning over 3 years with many team members spending over 300 days on location during that time. The visuals take you into their world and follow the monkeys through the jungle, into the water (yes some Monkeys swim) and into town. I enjoyed the film. There was a healthy mix of humor and the monkey’s social structure and activities were really interesting to observe and compare/contrast with ours. The strict hierarchy system was fascinating to see. The narration seemed to support the story for the most part and was not as over bearing as some nature films, but be warned if you are thinking it will showcase the comedy of Tina Fey you will be disappointed. The comic relief is really provided by the monkeys actions and not her narration. 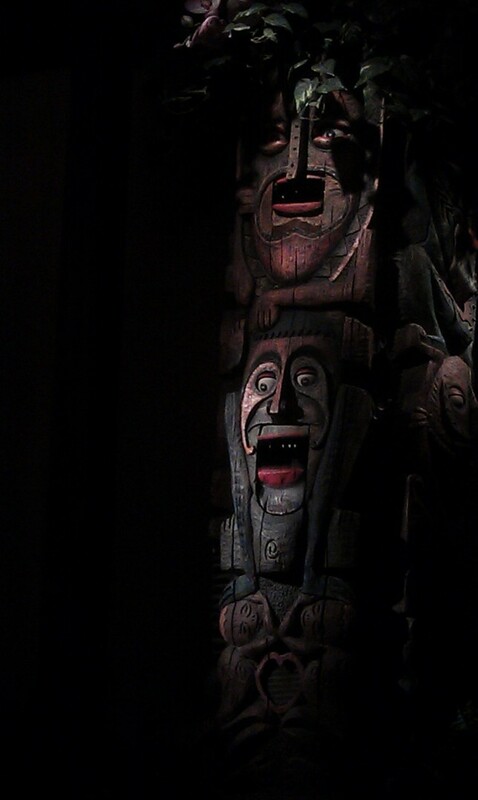 She plays it in much the same “voice” as previous Disneynature films. There are lighthearted moments and probably an ad lib or two but more or less it is standard fair. If you are a fan of the other Disneynature films, nature documentaries in general or monkeys you will more than likely find this trip into the jungle worthwhile. The home video options include Blu-ray, DVD, and digital HD/ Disney Movies Anywhere. I reviewed the combo pack. It includes a handful of bonus features. I thought the “Tales from the Kingdom” which was a 12 minute featurette on the making of the film was the most interesting. I am always interested in what it took to bring this type of film to the screen and this gives a brief glimpse behind the scenes, speaking of which if you are interested in behind the scenes be sure to watch the credits. As is the norm now a days I was left lacking with the bonus material, it felt very short and left a lot unanswered and I would have much rather had an extra 5 minutes vs the music video for example or better yet just more. For one of these Disneynature titles I would really like to see a longer documentary on the making of the film and learn more about that process and really showcase the amount of effort that goes into it. They amount of work that goes into finding the locations, subjects, filming them, then the editing and recording process is substantial and I would be interested in seeing it.